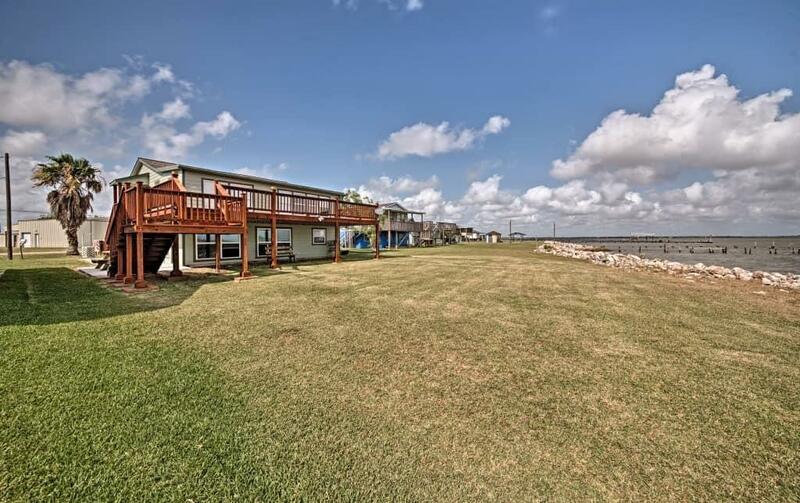 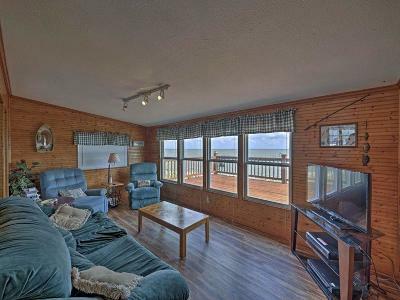 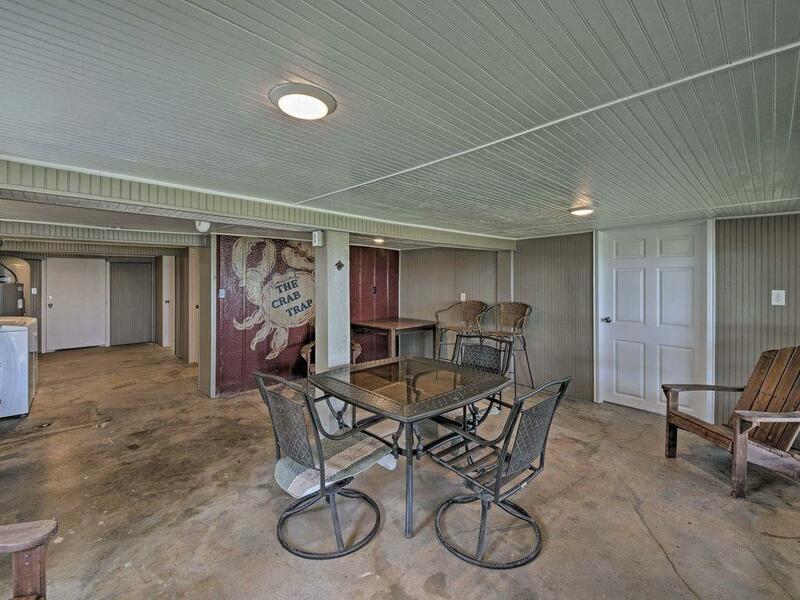 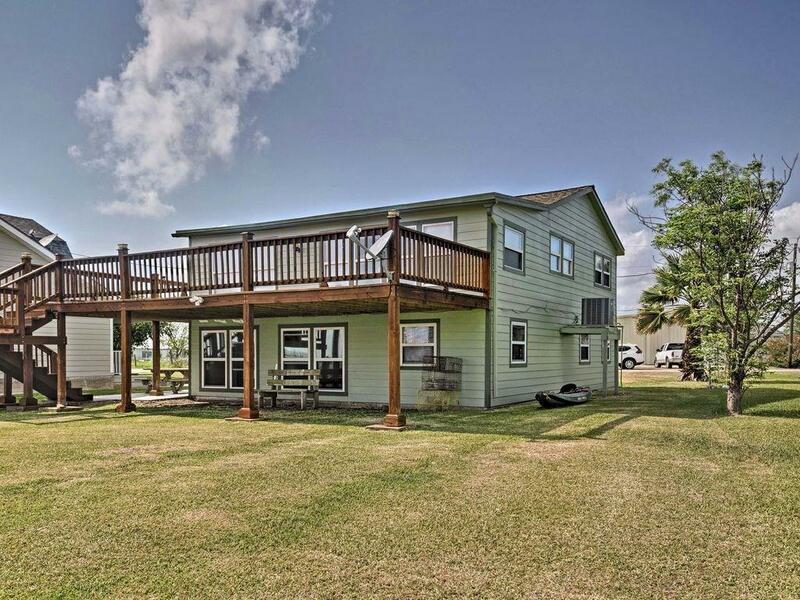 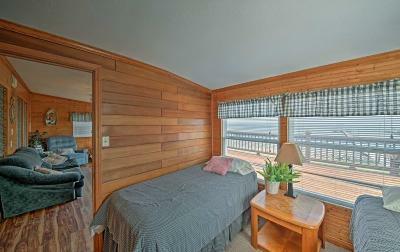 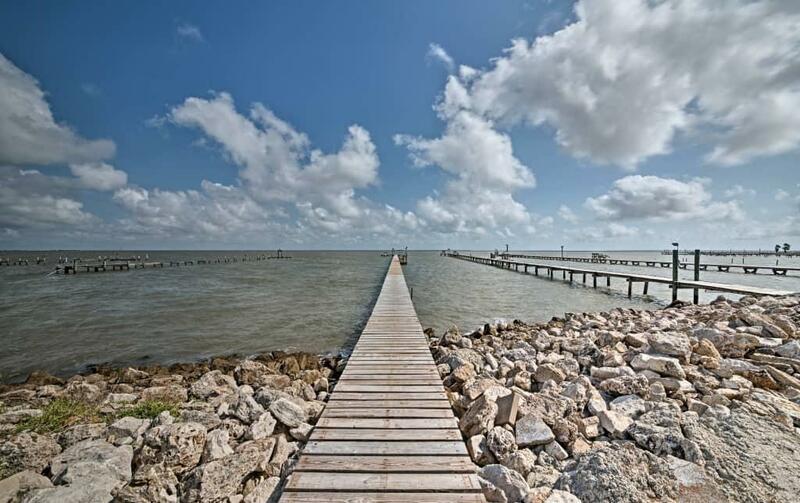 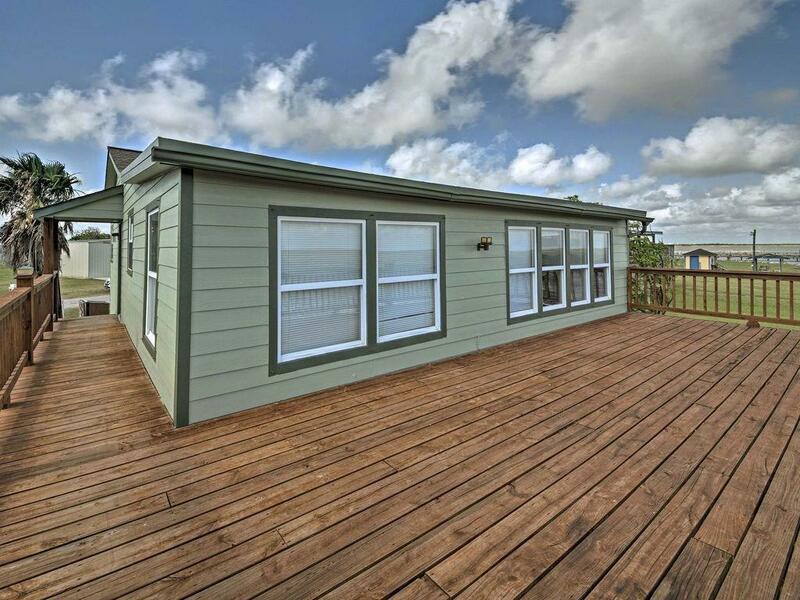 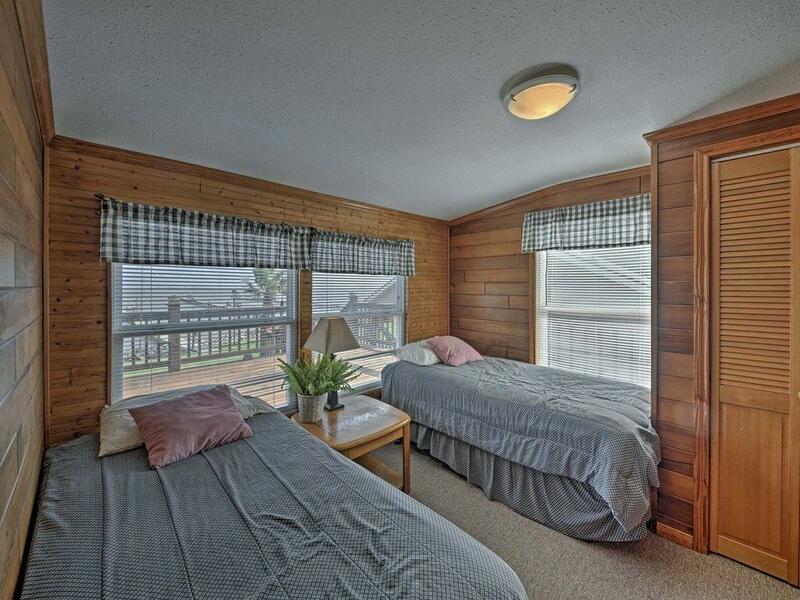 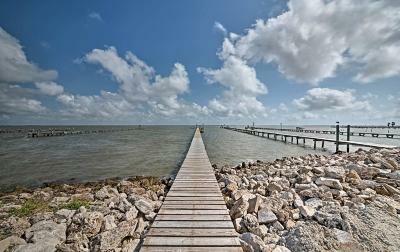 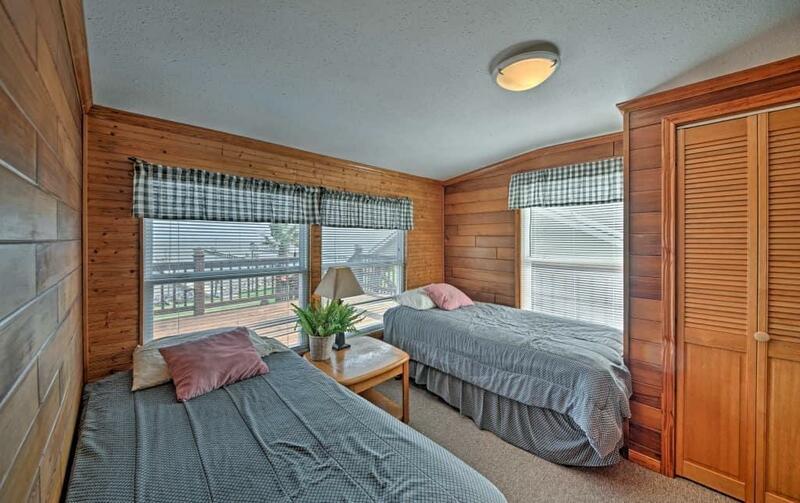 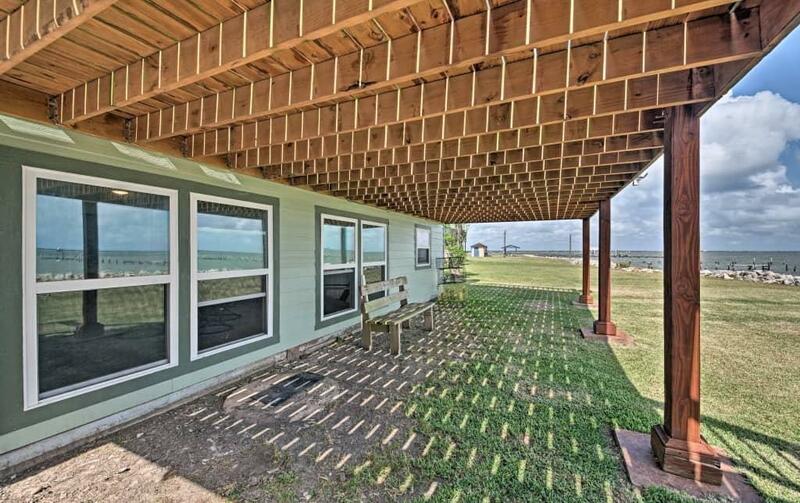 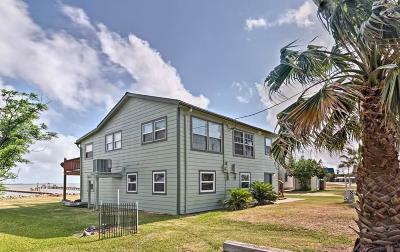 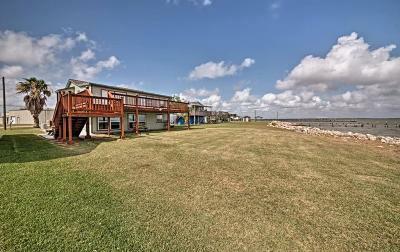 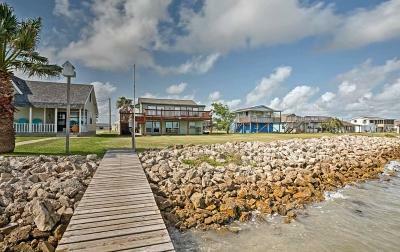 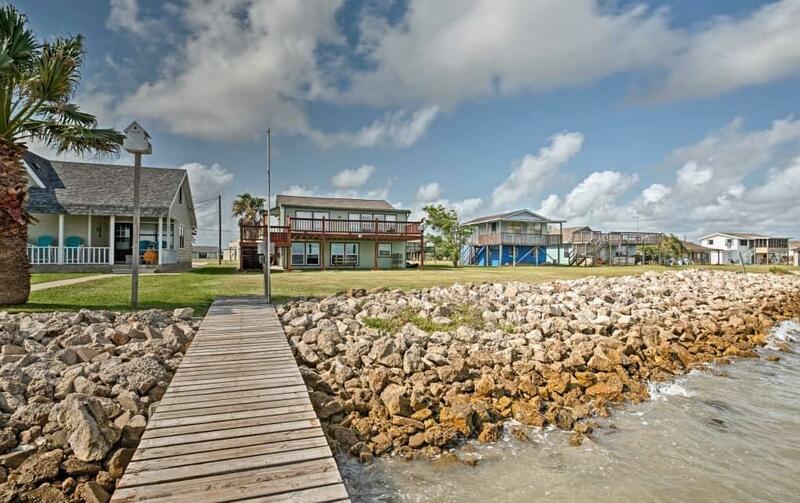 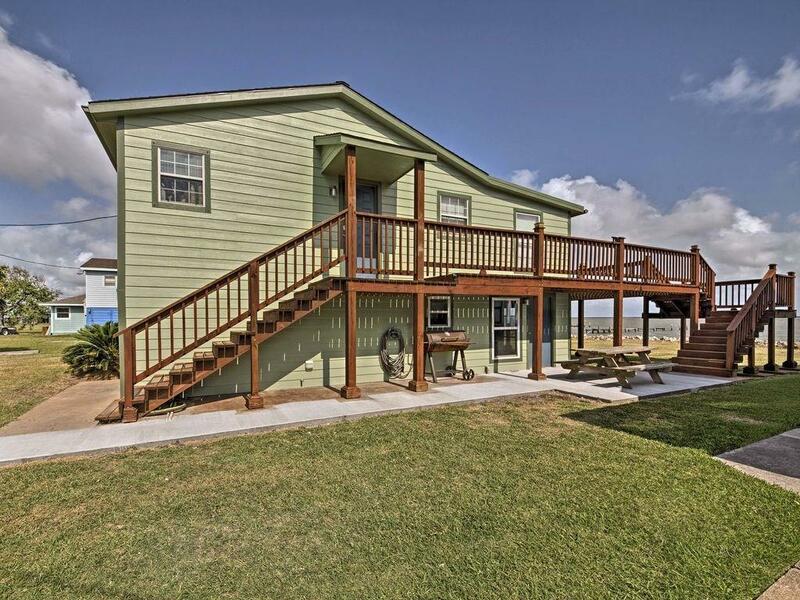 Enjoy your time on the water fishing & relaxing in this darling of a home called the Crab Trap. 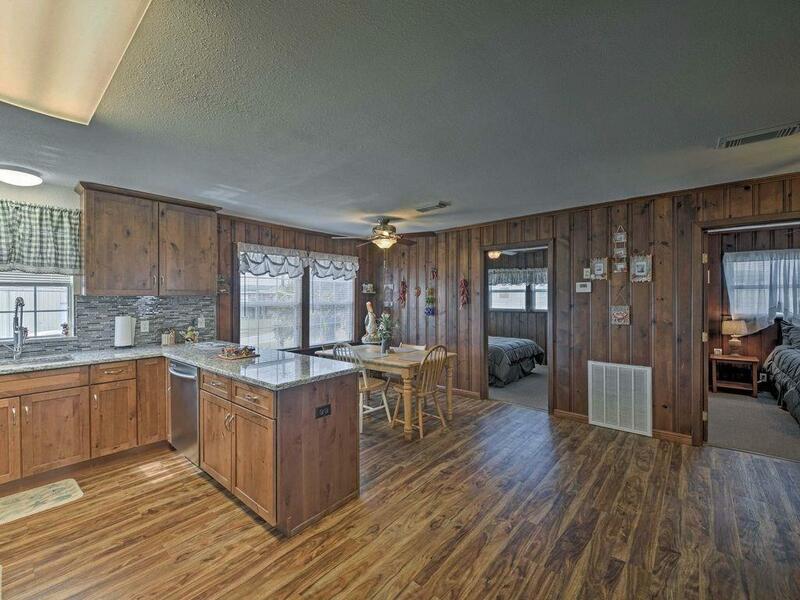 Seller has taken great care & upkeep. Wonderful relaxing & cozy atmosphere watching the sun glisten on the water or viewing gorgeous sun sets. 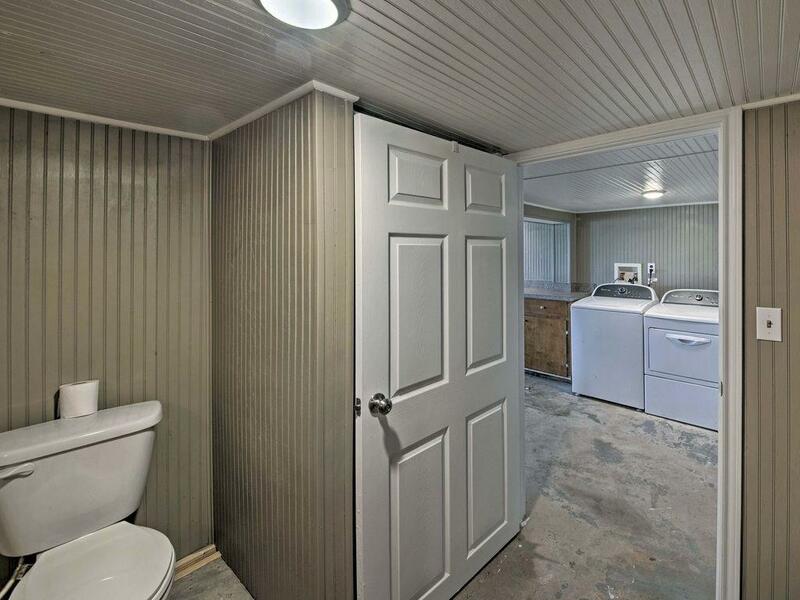 Must see the inside. 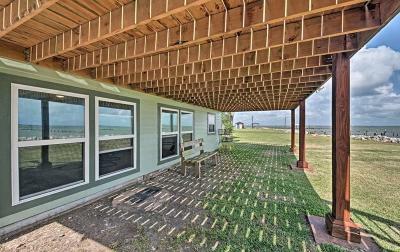 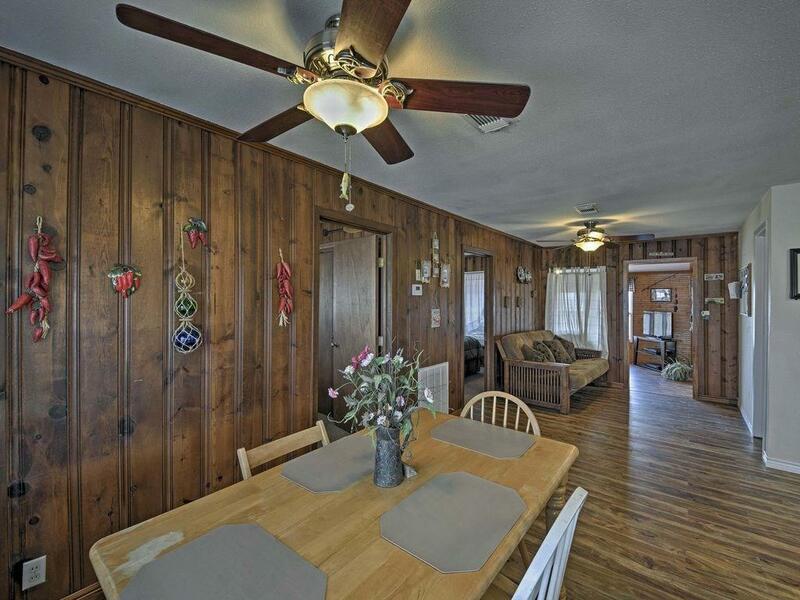 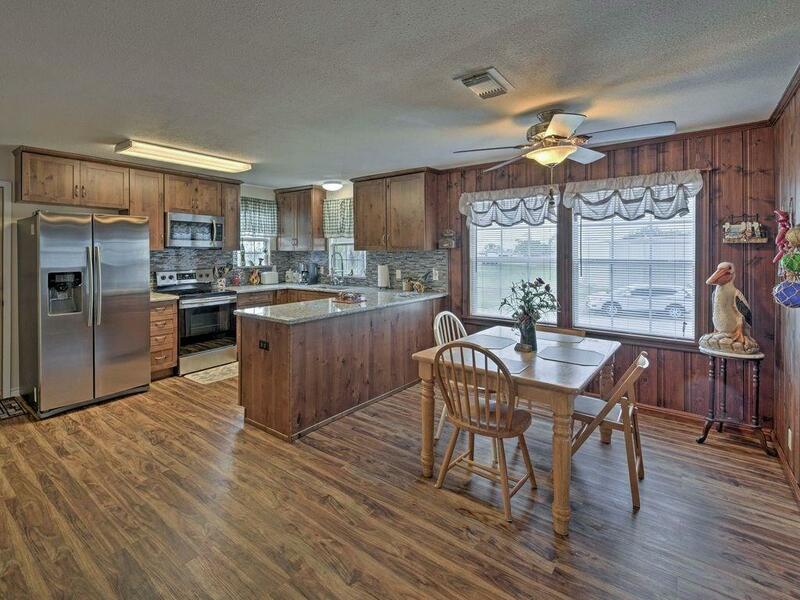 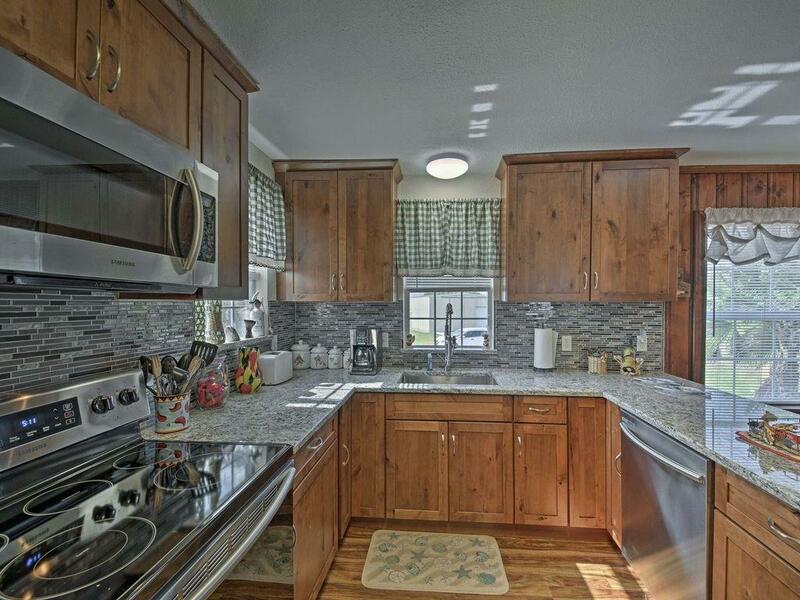 Upstairs is complete with kitchen, dining, 3 bedrooms, living area, full bath and sun room. 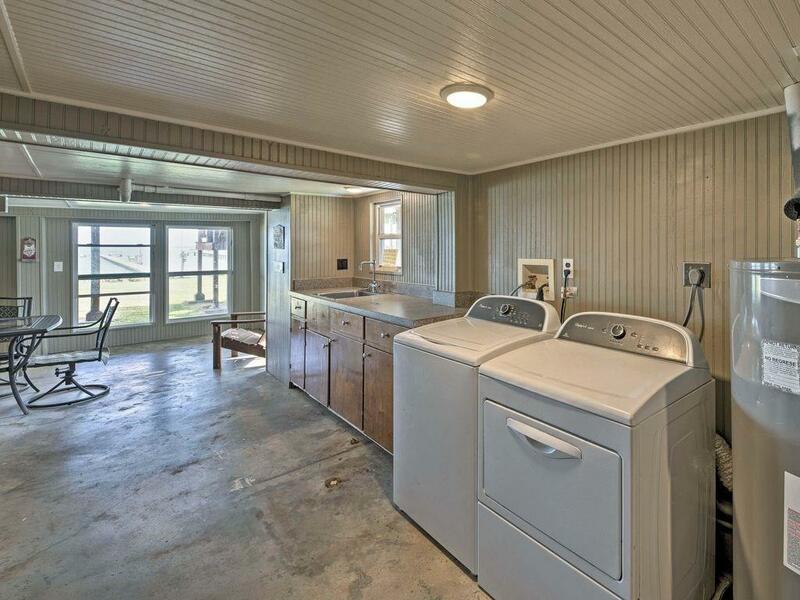 Downstairs has a full bath, washer/dryer & can be fixed up as you would like. 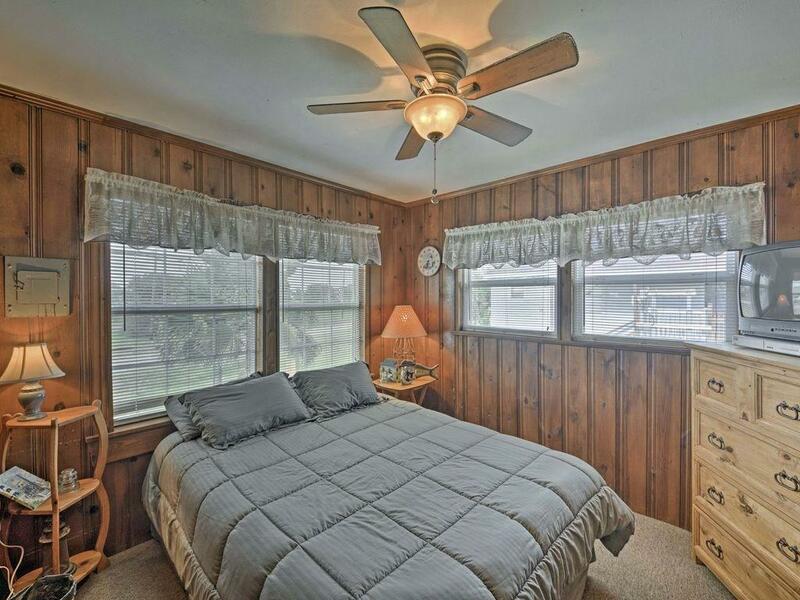 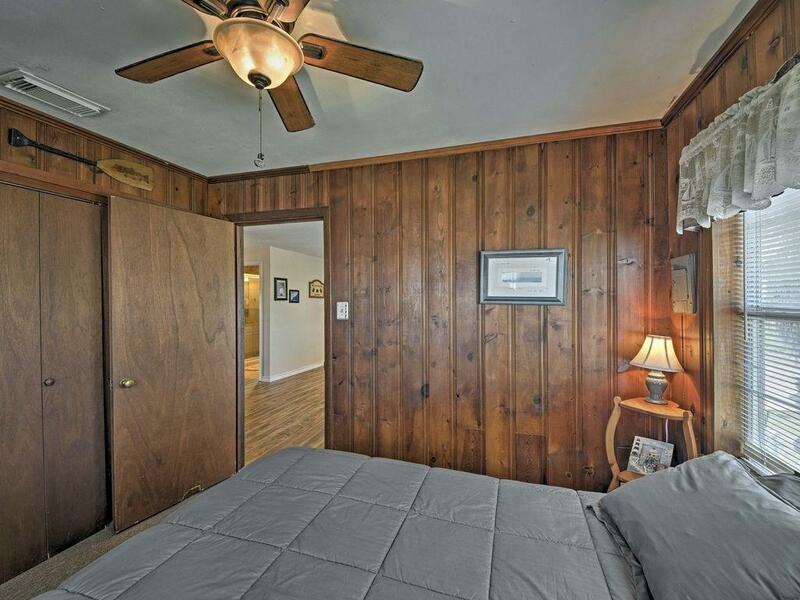 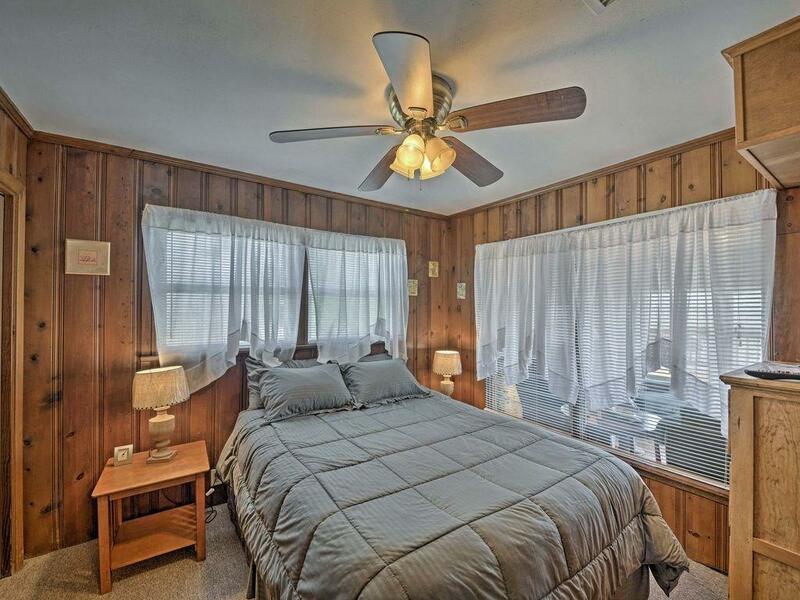 Could put 2 more bedrooms downstairs with a billiard room or poker room. 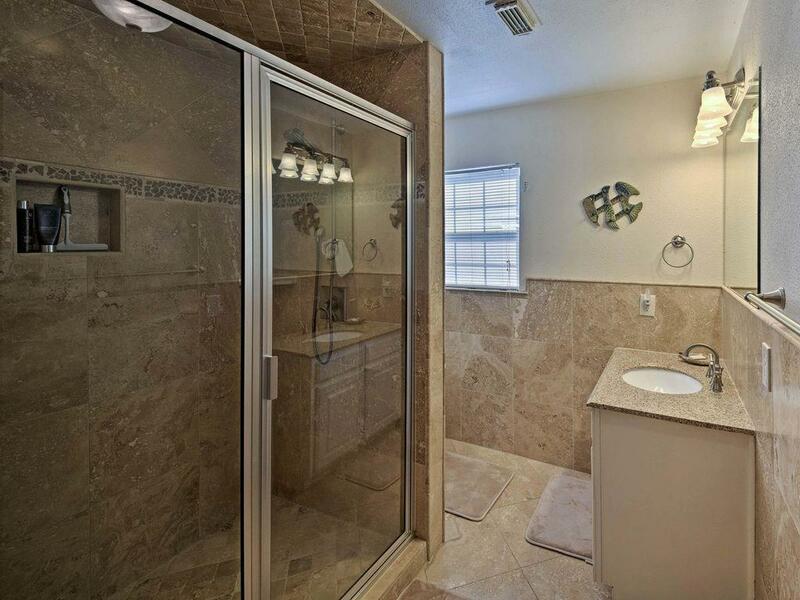 Has water softener and air purifier. 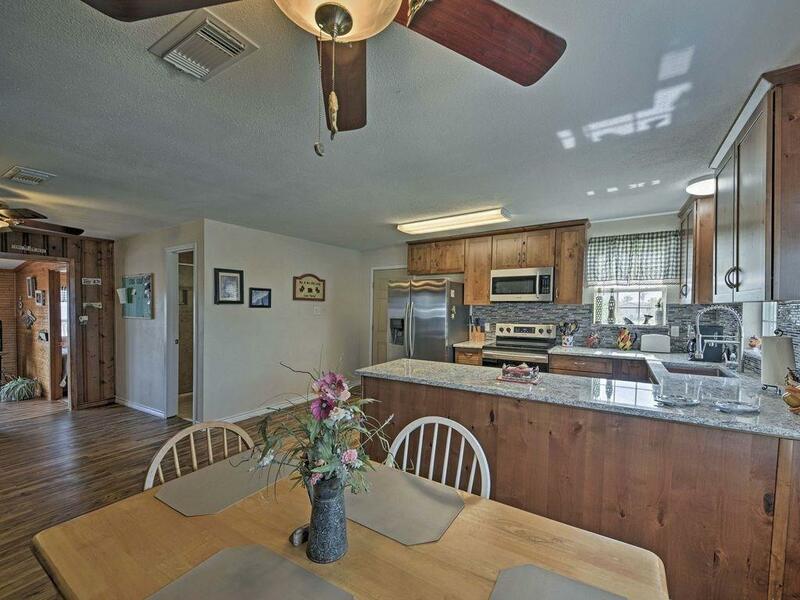 All appliances and most furnishings stay. 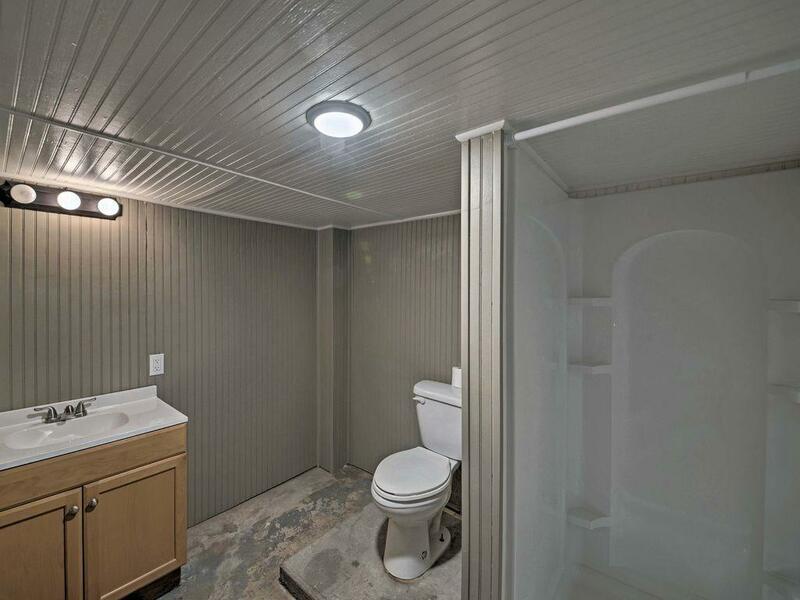 Well is 360' deep. 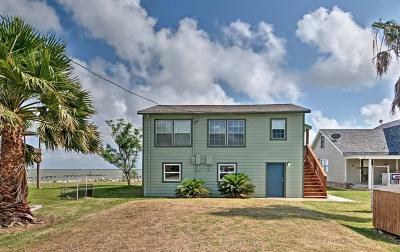 Seller has survey and elevation certificate. 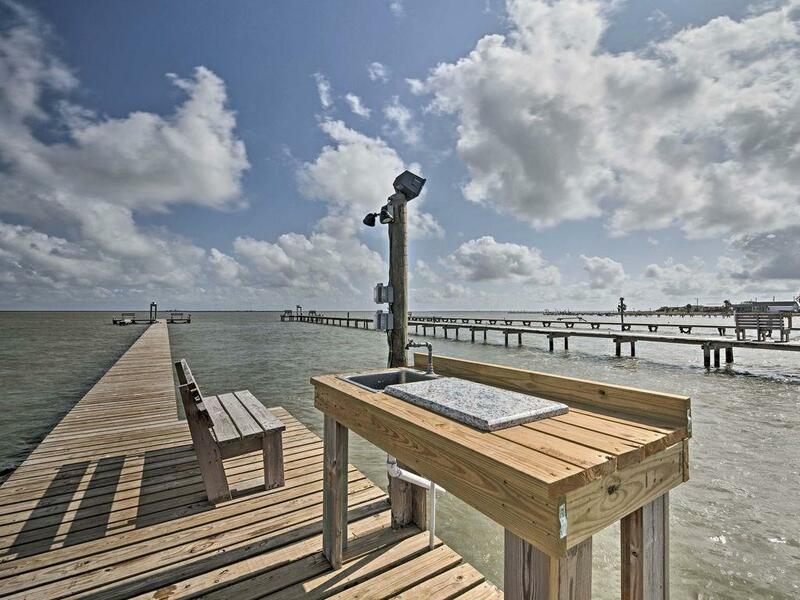 Lighted pier is 360' long and has a 40' T-head, fish cleaning table and fishing lights & private boat slip. 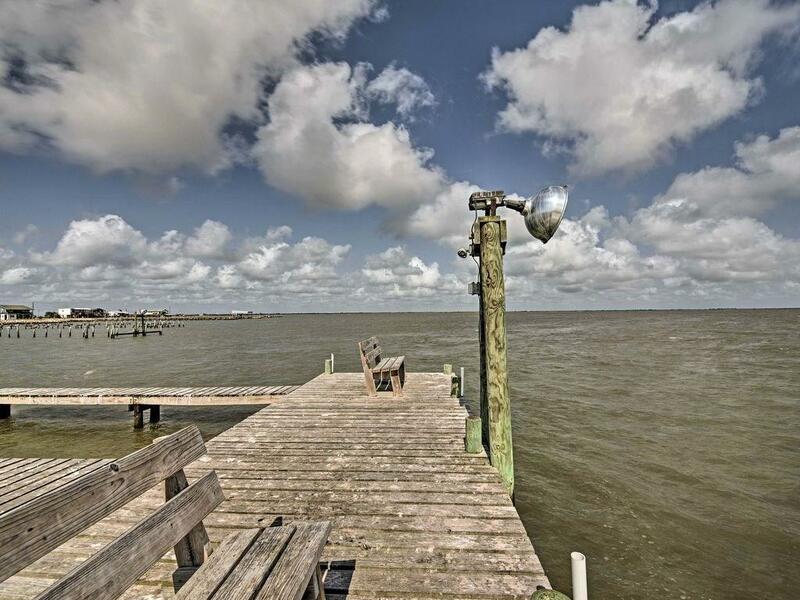 Neighborhood has boat launch. 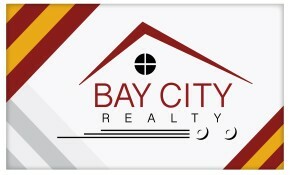 Is in current rental pool & can continue to use as a rental. 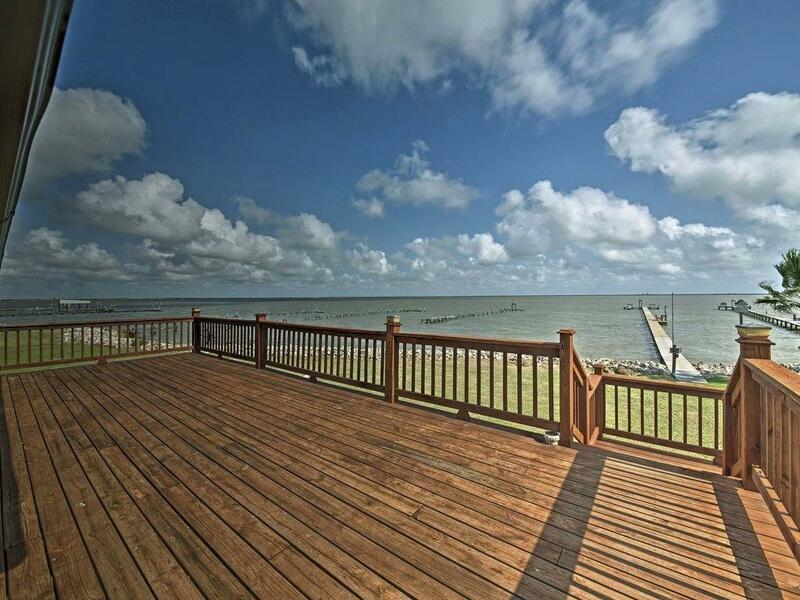 Everything set up and ready to go.